I make NO apologies for sharing the truth about those who I have documented as being GUILTY of the below crimes. As a Marine…my favourite quote is “I fear God and no others” and combined with my oath to the Constitution to protect this country from enemies foreign and domestic…I continue to obey that promise to fight against and expose those who I consider “domestic enemies” with this case being one example. Contrary to the latest smear/slandering of me with lies campaign by rogue and domestic terrorist enemy of the United States… attorney Mary C. O’Connell, I do what I do not with “bullets” but with the TRUTH! It matters not who they are or what they do…whether they wear “black or blue”, a skirt or a suit, or what they title is in the sight of man, I will with God’s help and inspiration expose their works of darkness knowing I am “God inspired” to do so. This is not to say there are not others (Oath Keepers ?) who might revenge the death of Michael S. Stewart if he ends up murdered at the hands of others because of the injustice of this case but that will not be my doing. Whether in the case of Michael S. Stewart below or Toni Anderson, the Shoar’s family or any and all things related to “Indian Country”, exposing/naming FBI agents working with drug cartels, pedophiles in the government etc etc etc, my Blog is dedicated to exposing the workers of Satan and their works of evil including those who have attacked me personally being sent by Satan himself to try to destroy me in the process. Clinton County Prosecutor and Kansas City Attorney Mary C. O’Connell representing NKCPD Officer Bill Ficken (and others named below) are DOCUMENTED to have committed felony crimes in this case of the cover-up of the brutal beating by named police officers of Former Police Chief and Police Officer Michael S. Stewart! In fact…if they have their way with the “Court”…Michael S. Stewart will be murdered if sent back to jail for crimes he did not commit and being he is a “Former Cop” they all know that and that IS exactly what they want including the Judge that ruled against him in his original case! Since 1908 the Association’s Standing Committee on Ethics and Professional Responsibility has developed model national ethics standards for lawyers and the judiciary and drafted ABA Formal Ethics Opinions interpreting and applying those standards. Since 1984, the Model Rules of Professional Conduct have been the standard against which U.S. jurisdictions have compared and developed lawyer rules of conduct. Extensive revisions to these Rules were adopted in 2002 and 2012 based on the work of the Ethics 2000 Commission and the Ethics 20/20 Commission respectively. Today’s Model Rules reflect the legal practice in the 21st Century. In 1990, the ABA restructured and amended the Model Code of Judicial Conduct. Since that time most state courts have adopted the new Code. The Standing Committee on Ethics and Professional Responsibility issues ethics opinions interpreting the both the Model Rules of Professional Conduct and the Model Code of Judicial Conduct. ABA Formal Opinions have been cited as persuasive when courts around the nation interpret state-adopted Rules of Professional Conduct. The Committee and its counsel also consult with other American Bar Association entities, state and local bars, law school communities, the legal news media and the public on matters of emerging interest in the area of legal and judicial ethics. Learn about the current officers of The Missouri Bar – the president, president-elect and vice president – who lead the organization through their service on the Board of Governors. Officers are elected by the Board of Governors and serve one-year terms. New officers are elected and take office at The Missouri Bar’s Annual Meeting held in early fall. St. Louis attorney Morry Cole, an attorney with Gray, Ritter & Graham, P.C., is the 2017-18 president of The Missouri Bar. 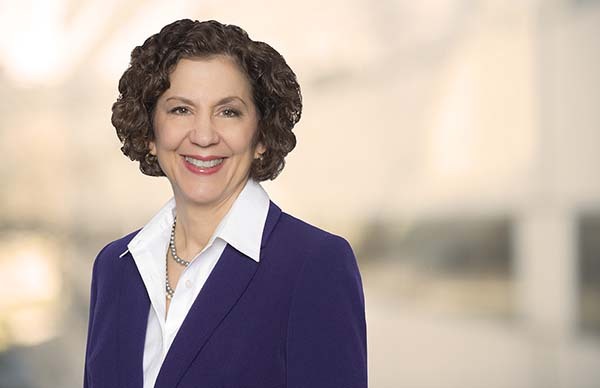 Cole graduated from the University of Missouri School of Law and has been a member of the Board of Governors since 2013. Cole is a past chair of the state bar’s Young Lawyers’ Section Council and served on the board in 2002-03 as the representative of that council. His practice is focused on complex litigation in state and federal courts. The 2017-18 president-elect of The Missouri Bar is Ray Williams, a solo practitioner with offices in West Plains and Eminence. Williams is a graduate of the University of Missouri School of Law, where he served as Editor-In-Chief of the Missouri Law Review. He became a member of the Board of Governors in 2008 and is co-chair of the bar’s Strategic Planning Committee. The new vice president of The Missouri Bar is Tom Bender, a shareholder at the Kansas City law firm of Walters Bender Strohbehn & Vaughan, P.C. He earned his law degree from the University of Missouri School of Law and has served on the Board of Governors since 2011. When you hire a lawyer, you should expect professional and ethical behavior. Regardless of the efforts to maintain a high degree of competence and ethics among the members of the legal profession, some lawyers fail to meet those standards. If your lawyer violates the Rules of Professional Conduct or The Attorney-Client Relationship, you may file a complaint with the Office of Chief Disciplinary Counsel. The Commission on Retirement, Removal and Discipline of Judges is responsible for receiving and investigating all requests for the retirement of judges because of disability and all complaints concerning alleged misconduct of judges and judicial commission members. This commission is composed of two citizens who are not members of The Missouri Bar, two lawyers, one judge of the court of appeals and one judge of the circuit court of Missouri. To make a complaint against a Missouri judge, click here. Clinton County Prosecutor Joe Gagnon along with Attorney Mary C. O’Connell (and other named attorneys below) conspired together with their “clients” North Kansas City Police Department Officers Bill Ficken, Patrick Romaine and Christopher Kimmel and Kevin Freeman to first deny and hide and/or ALTER (say DISCOVERY) a video of the the assault that took place at North Kansas City Hospital by named police officers (and those additionally named below) of Michael S Stewart. They are also DOCUMENTED TO HAVE ALTERED THAT VIDEO TO HIDE THE ASSAULT. This then makes them guilty judicial misconduct. The the below information which I am presenting is the exact same evidential template from other cases which is what I call a visual prototype and template documenting their GUILT and which is being reported to the American Bar and Missouri Bar! Major Kevin Freeman NKCPD FBI trained expert in “altering videos” who worked with NKCPD officers Bill Ficken, Patrick Romine and Christopher Kimmel who assisted in the altering of the video. 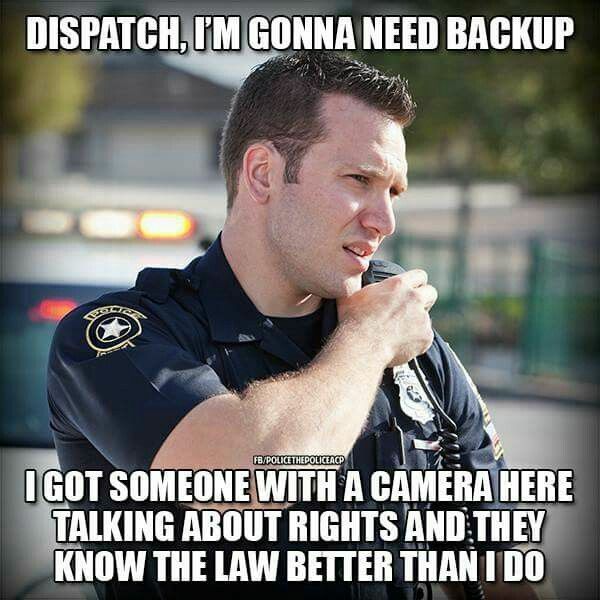 By law enforcement…say North Kansas City Police…DOCUMENTED! How to Prosecute Abusive Prosecutors Say Joe Gagnon! 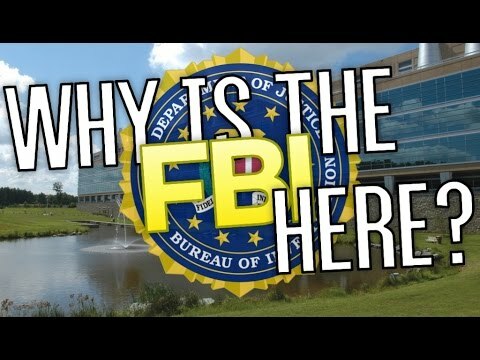 Gagnon will be charged according to some FBI birdies! Along with O’Connell as the evidence is now confirmed to show they are GUILTY of !Spoliation of Evidence! 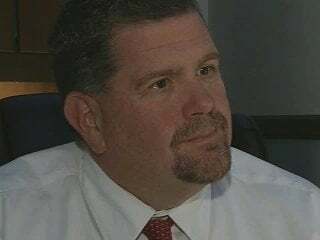 Clinton County Prosecuting Attorney Joe Gagnon is guilty of conspiring with Clinton County and Clay County Law Enforcement Officers and in collusion with the Attorney’s named below to deliberately withhold a video from North Kansas City Hospital and then altering that same video exposing those named officers below who assaulted an arrestee Michael S. Stewart who was in their custody. Gagnon and the named attorney’s below collectively took an affirmative step to conceal the felony assault by the officers named from the presiding Judges in this case including the APPELLATE COURT JUDGES named below. Gagon has been working with the NKCPD officers guilty of altering the video along with NKCPD officer Bill Ficken’s attorney Mary C. O’Connell. They are collectively guilty of allowing for fabrication charges against Stewart and allowing them to stand in order to cover up the facts while accusing Stewart of of attempted resistance and assault committed by Stewart on the officers which the VIDEO does not show…after being ALTERED. This proves that the charges were in fact were fabricated to cover for injuries the arrestee sustained during the assault which why in the beginning of this case that the release of the video was denied during the discovery phase of his trial. “Prosecutors are trusted to exercise discretion in enforcing the law and are charged above all with doing justice in a fair and impartial manner,” Gagnon and Mary O’Connell attorney for NKCPD officer Bill Ficken intentionally failed to uphold the Constitution, and must therefore be held to answer for their actions. 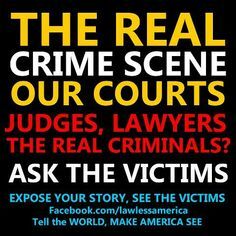 What Gagnon, O’Connell and other named attorneys are GUILTY OF along with their “criminal clients”! In a notable case in Nebraska, officers were charged with the felony charge of evidence tampering, as well as misdemeanor obstruction and theft, when they committed brutality. O’Connell has full knowledge that 45 seconds of the video were removed that showed her client Ficken choked Stewart out when Stewart was handcuffed to the wheel chair and which Ficken bragged to Stewarts wife that he did just that by holding his hands in a chocking manner to Stewart’s wife which was REMOVED from the original video by either Ficken who O’Connell said had possession of the video and /or/the “other officer” being either NKCPD cops Patrick Romine or Christopher Kimmel or possibly Maj. Kevin Freeman. The named Missouri Court of Appeals, Western District Judges below were not allowed to have presented to them the existence of the North Kansas City Hospital Video showing the brutal treatment of Stewart but to also have presented to them the fact that video had been tampered with by having time segments removed and frames missing. It has been admitted by O’Connell that her client NKCPD officer Bill Ficken was responsible for this video and that it was in his possession during the time these changes were made which is why she does not want this evidence released in court. 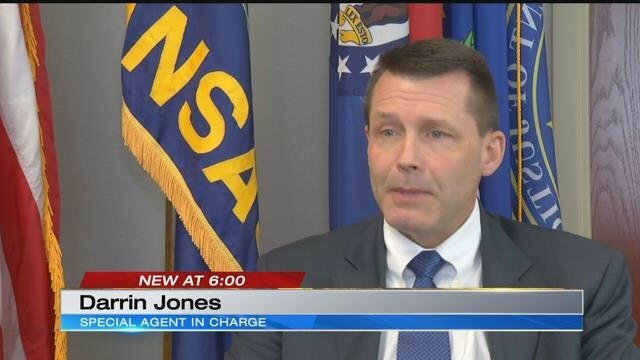 Clinton County Prosecutor Gagnon was in full knowledge of this information when he appeared before the Missouri Court of Appeals, Western District Judges! Just a side note for the eyes of Mary C. O’Connell who is a pathological liar on her way to hell. She has stated to the “Court” that I “threatened” the named attorneys defending the officers who brutally beat Stewart and almost killed him. Guess what? I DID and in voice mails I left but not in the form of “bodily harm” as she is implying but rather me promising to EXPOSE THEM INCLUDING HERE AS I AM DOING NOW AND REPORTING THEM TO THE MISSOURI BAR AND THE OFFICE OF MISSOURI ATTORNEY DISCIPLINE SYSTEM WITH THE GOAL TO DESTROY THEIR CAREERS FOR DOING WHAT THEY HAVE DONE TO A INNOCENT MAN! This is why O’Connell is lying / “SLANDERING ME” (say law suit) to the Court in the hopes that the ALTERED WITH HER KNOWLEDGE VIDEO will not be allowed in a motion for “discovery” by Stewart’s attorney which would expose her and Gagnon and the officers named who are guilty of police brutality which this ALTERED VIDEO PROVES! You gave up some important information Ms. Dumb as a ROCK and I sincerely thank you! 🙂 So read my lips…”You fell for the trap”! 🙂 Have me charged ok? I want to bring the “EVIDENCE” into court PLEASE! Tell me O’Connell and Gagnon…how does your future look now? PSSSSST… Every JUDGE not involved in this case will know who you are 🙂 Happy Hanukkah, Merry Christmas and Semper Fi! Named officers in the video…minus their “actions of brutality” thanks to the ALTERATIONS BY FICKEN, ROMINE, KIMMEL AND MAJ. KEVIN FREEMAN WITH FULL KNOWLEDGE OF O’CONNEL AND GAGNON! David Speiser and John Wilson, then of the Lathrop Police Department, Deputies John Patterson and Jeffery Parton of the Clinton County Sheriff’s Department, and William Neil and Sheriff Porter Hensen of the Clinton County Sheriff’s Department. Speiser also worked at the time for the Clinton County Sheriff’s Department. Two defendants from the North Kansas City Police Department – Christopher Kimmel and shift sergeant Patrick Romine and Gary Ficken, Jr., from the North Kansas City Police Department who worked as a security officer at North Kansas City Hospital. The Missouri Appellate Court Judges below and Judge Beth Phillips in the Stewart Case were lied to by Clinton County Prosecutor Joe Gagnon and by the collective attorney’s representing the officers involved with Mary O’Connell taking the lead, in the brutal beating of Michael S. Stewart as well as and including the initial fabrication of charges against Stewart with only “hearsay” being used in court because other available videos were also withheld by Gagnon leaving only hearsay evidence of the very officers who beat him. No breathalizer test or any documentation that Stewart had over a .08 alcohol level or ANY alcohol level other then the “lies” of the cops. ALL are collectively guilty of obstruction of justice by the withholding evidence during “discovery” during Stewart’s trial and appeal…namely the video and and altering of with is now documented! The LIED to Missouri Appellate Court Judges and who I left messages to about this case! Bruises on Michael S. Stewarts wrist from being assaulted while handcuffed to a wheelchair by NKCPD officer Bill Ficken. 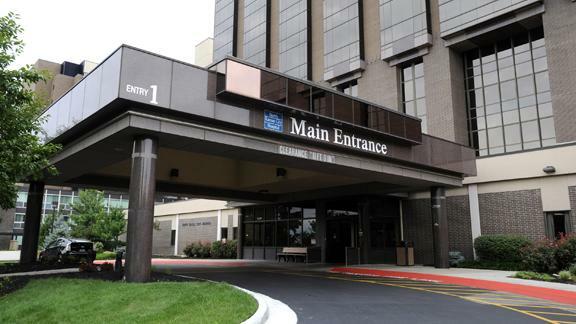 Medical Reports were ALTERED and CHANGED from the ORIGINAL ONE by NKC Hospital staff working with Law Enforcement and their attorney’s from 8 pages to over 20! What is a “Federal Indian”? What is a “Real Indian”? An Original Understanding” from a Full Blood Oglala Lakota Chief and Head Man exposing the historical documentation of what the United States Government did to break treaty law and destroy the “Original Indian” in the process resulting in the spiritual and temporal genocide of the people….and WHY! A Short Course in Native American History! Live and a Podcast! Click LINK!